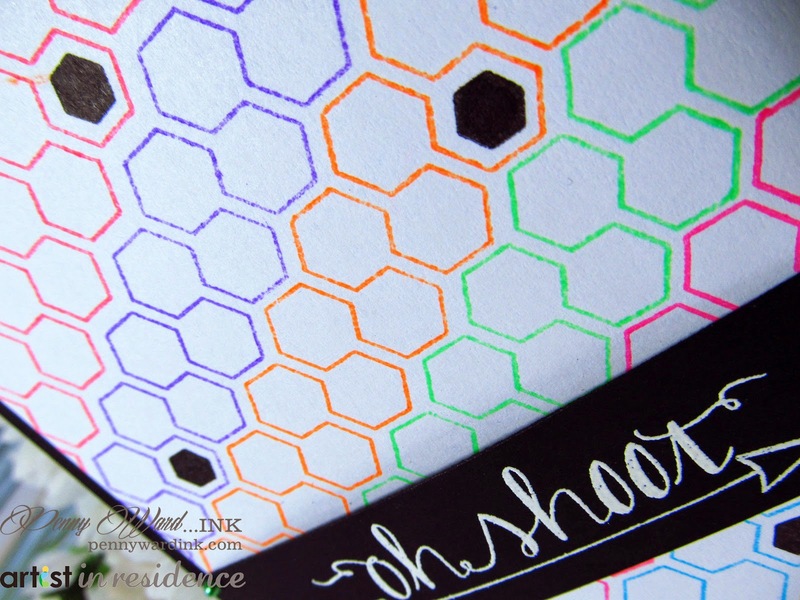 Using AE stamp set All Squared up, and inking with Imagine Crafts/Tsukineko Radiant Neon inks...loving how it turned out. Sentiment is from AE Oh Happy Day stamp set. I am in awe of how perfectly you have stamped that background!! And I think they should let you enter the challenge late .. chemo brain is real!! Lots of hugs. This background for your card is beyond cool - it looks so uber cool!! What a great job you did creating your own pattern paper! !